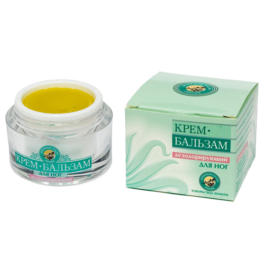 Сedar Cream Balm Daytime Facial, 30 ml. Natural cream for daily face care based on bee wax and composition of cold-pressed and essential oils. It moisturizes and nourishes the skin with vitamins and natural fats. Cream strengthens the protective function of the skin and makes it more elastic, prevents premature aging. Oils and cedar resin in the composition protect the skin from negative impact of external factors, so the cream is especially recommended for residents of big cities. It is perfect for cold seasons with low temperature as the beeswax and the oils form a thin protective barrier. Cream-balm prevents dehydration of cells and protect against wind and temperature changes. The cream has strong antiseptic properties, relieves irritation, dryness and heals the skin. Side effects, including allergic reactions to the cream have not been found. Natural cream for daily face care based on bee wax and composition of cold-pressed and essential oils.